Last week was the 11th week of the 2019 legislative session. There are 7 weeks left before the General Assembly adjourns on May 10. Here are the highlights from Senate floor action from last week. FLOOD RELIEF FOR HOMEOWNERS – The Senate passed S. 259, a bill that would create a new revolving fund to provide low interest loans to perform flooded-home buyouts and floodplain restoration. The bill will now go to the House of Representatives. DEPARTMENT OF VETERANS AFFAIRS – The Senate passed H. 3438, a bill that would create a new, cabinet-level Department of Veterans Affairs. The House will now consider the Senate’s amendments. SPADEFISH CATCH LIMITS – The Senate passed S. 476, a bill that would set catch and size limits on spadefish. The bill will now go to the House. CONTINUING EDUCATION FOR VETERINARIANS – The Senate passed H. 3732, a bill that would require veterinarians who are authorized to prescribe certain controlled medications to have continuing education on prescribing and monitoring controlled drugs. The bill will now go to Governor McMaster. 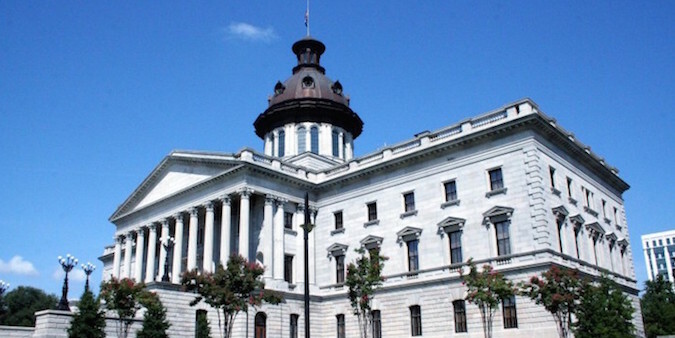 DAYLIGHT SAVINGS TIME – The Senate passed S. 11, a bill that would have South Carolina observe Daylight Savings Time year-around if Congress passes legislation authorizing states to do that. The bill will now go to the House of Representatives. ONLINE NOTARIZATIONS – The Senate passed S. 486, a bill that would allow for the electronic notarization of certain documents. The House will now consider the bill. UPDATED RULES FOR PHYSICIAN ASSISTANTS – The Senate passed S. 132, a bill that would update the Physician Assistants practice act. The purpose is to give PA’s more autonomy, while still requiring supervision from physicians, in order to expand access to health care, especially in rural areas. The bill will now go to the House of Representatives. CHILDREN’S TRUST FUND – The Senate passed S. 498, a bill that would allow DSS to enter agreements with the Children’s Trust Fund for child abuse treatment and reporting. The bill will now go to the House. PROTECTIONS FOR SERVICE MEMBERS – The Senate passed H. 3180, a bill that would provide additional protections for service members who are deployed. As an example, the bill would allow for service members to cancel certain contracts – gym memberships, cell phone agreements, etc. – if they are ordered to deploy for a period of time and cannot benefit from the contracts during their deployment. The bill will go back to the House of Representatives to consider Senate amendments. MULTISTATE LICENSING FOR FINANCIAL INSTITUTIONS – The Senate passed S. 573, a bill that would allow the Board of Financial Institutions to enter into multistate agreements for the licensing of financial institutions in multiple states. The House will now consider the bill. AUTOMOBILE INSURANCE –The Senate passed S. 579, a bill that would require automobile insurers to file rate increases with the Department of Insurance every six months and prohibit increases more than one time per year unless approved by the Department. This bill should limit the ever-increasing automobile insurance rates. The House will now consider the bill. SANTEE COOPER – Last week, two resolutions were introduced in the Senate that would provide for the sale of Santee Cooper. The resolutions will be considered by the Senate Finance and Judiciary Committees this week. I will keep you updated. TURKEY HUNTING SEASON – The Senate Fish, Game & Forestry Committee sent S. 575 to the full Senate for consideration. The bill makes changes to turkey hunting season and the bag limits. I have received a good bit of input on this bill, especially from the National Wild Turkey Federation. I expect the Senate to debate the bill this week. K-12 EDUCATION REFORM – The Senate Education Committee’s subcommittee has held more than 10 meetings so far – including 4 night hearings across the state – to work on revisions and improvements to H. 3759, a bill designed to address education reform issues. On Monday night, I attended an Aiken County Legislative Delegation meeting. Wednesday was the annual day for selected Aiken County high school students to come to Columbia to tour the State House and shadow legislators. Every high school in the county was represented, offering a great opportunity for high school students to learn about state government. On Wednesday night, I spoke at Cherokee Presbyterian Church in Gilbert as part of its “This is Us” series. The series brings in community members with various backgrounds and allows them to share their story as a way of allowing us to get to know each other better. I really enjoyed the visit. On Friday, I visited Aiken High School and spent some time talking with teachers about ideas to improve and strengthen South Carolina’s educational system.